“Dawn” is a daily event for most of us. Every day typically begins as things begin to become visible and that day’s new things begin to unfold. One of those “dawn” moments is upon me of late. Being in the midst of a move of household from one state to another, from doing one thing (for many years) and transitioning to another, well, it’s challenging. One of those things which often occurs with “dawn” is you get some perspective, i.e., you begin to be able to see. One of those dangers of doing the same thing many years is you can seem to miss the “dawn” and that look ahead. Moving makes it hit you in the face, and that’s not all bad! Ahead seems to be a season of some new things, new opportunities, and new friendships, just to mention some. There even seems to be some new things with the photography which I so enjoy. But, if you’ve lived a few years, you know that things often turn out differently than what “seems to be” before you. That’s not pessimism, just realism. In the coming weeks and months, Lord willing, there will be some new images surfacing of new places and new things. It’s pretty exciting. Yet, there’s the “but what if” that slips into my thoughts. I ran across some Scripture while teaching a series in the Psalms. Check out Psalm 57.7-11. Here’s a perspective for every season. 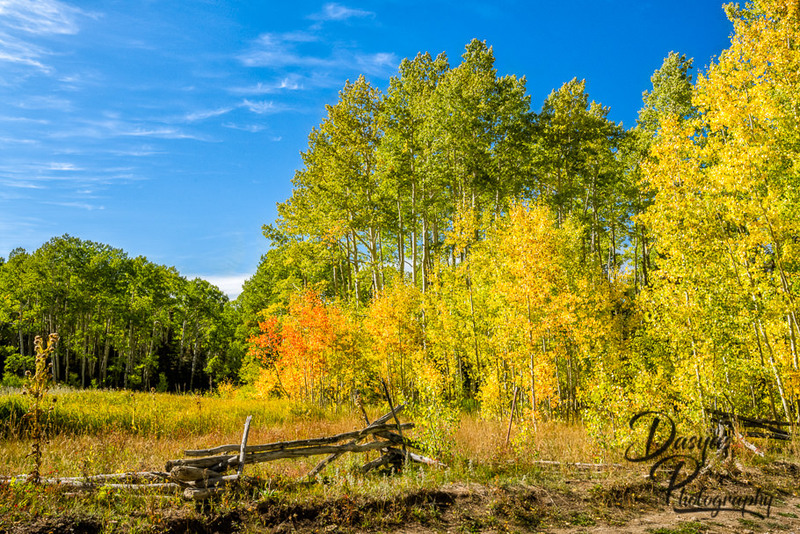 A recent trip to southwest Colorado to try to catch some “aspen color” was all about “wondering”! Wondering if the timing was right! Wondering if the location was right! Well, the timing wasn’t “right” even though the location was a great place to enjoy some mountain scenery. I’m guessing we were between a week and two weeks too early. That’s often the story of the landscape photographer’s life! So, with some “wandering” in the mountains a few, and that’s the instrumental word, places were found! 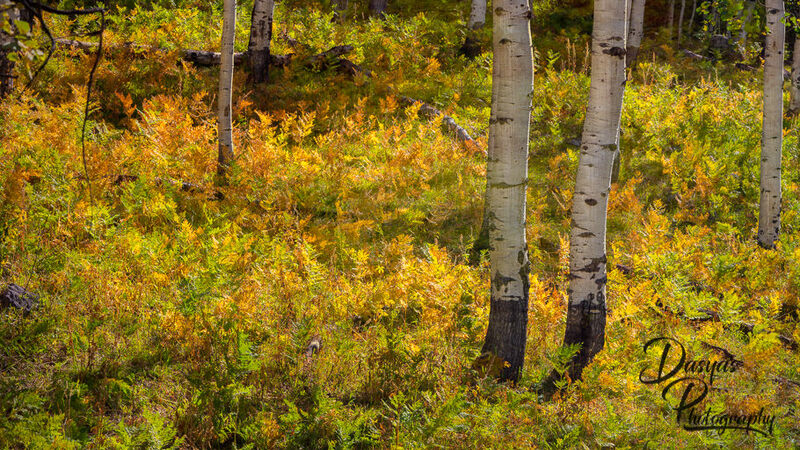 The early backlight among the aspen almost made some of the undergrowth glow! Leaving Telluride we, still “wondering,” took some “off-road” driving and found one small patch of aspen near the top of the pass. It was slim picking in a place with such great potential. A little more “wondering” about what the last light would be on Mt. 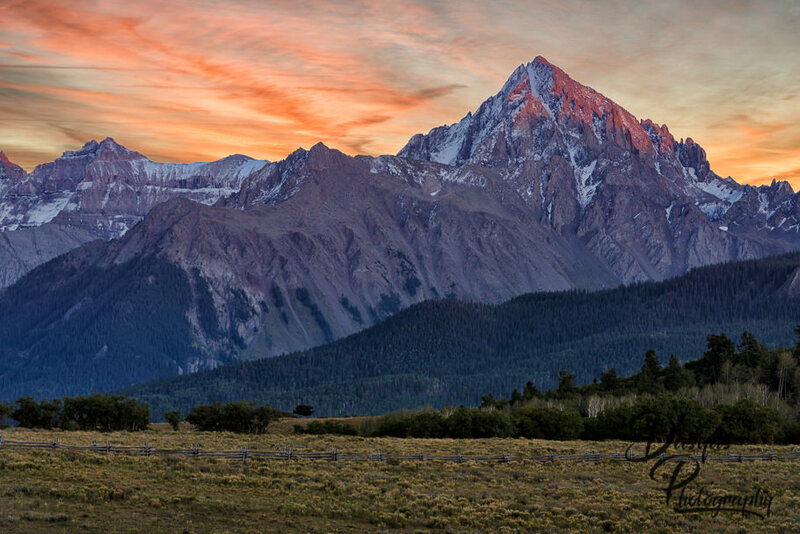 Sneffels, a 14,000+ foot beauty, yielded a glow which made the wait worthwhile. So, all this “wondering” got me to thinking. While there’s nothing wrong with some wondering in life, there are some things worth “knowing.” Foundational is the certainty of God’s Word, a Word which declares his love for us, so much so he sent Jesus to die for our sin so that we could have his new life through our faith in Jesus! Check out John 3.16 for this Word worth “knowing”! Now, that’s worth “knowing” and building your life on, even if, as a photographer, you’re stuck “wondering” about the location, the timing, the conditions! Knowing God’s Word is a foundation which makes even Mt. Sneffels pale is something upon which we can build life! I have a longstanding love of words, or, as a mentor of mine, Dr. Howard Hendricks carefully schooled me to say, “terms.” All “words” have a context and the two I tossed out definitely need one! Most of us would avoid being “badgered” or “buffalo’ed”! 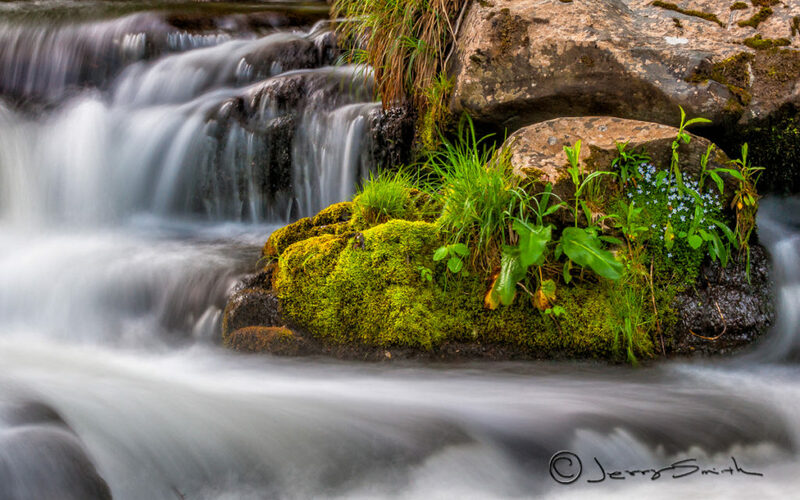 But, to a photographer, they can be just what you want to hear. Enjoying some time in the Badlands National Park allowed for each of these “terms” to come the fullness of their photographic context! 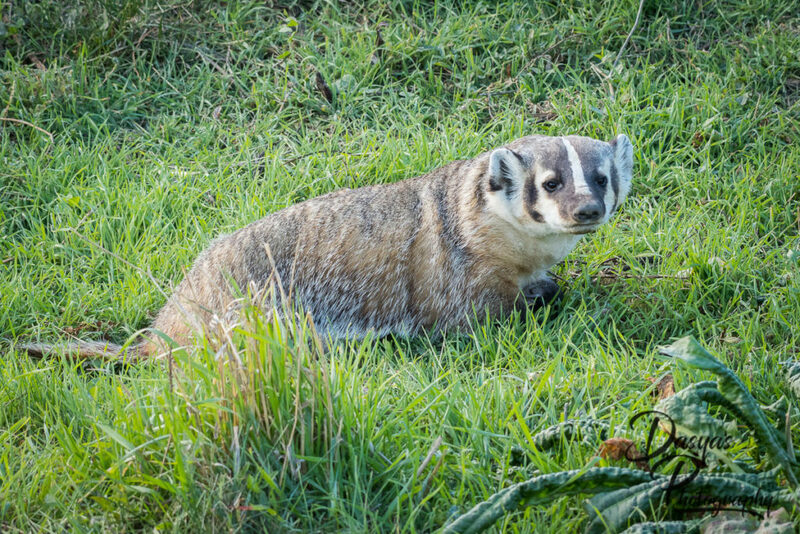 Getting to spend a little time with this young badger who was hunting his next meal was a real treat. 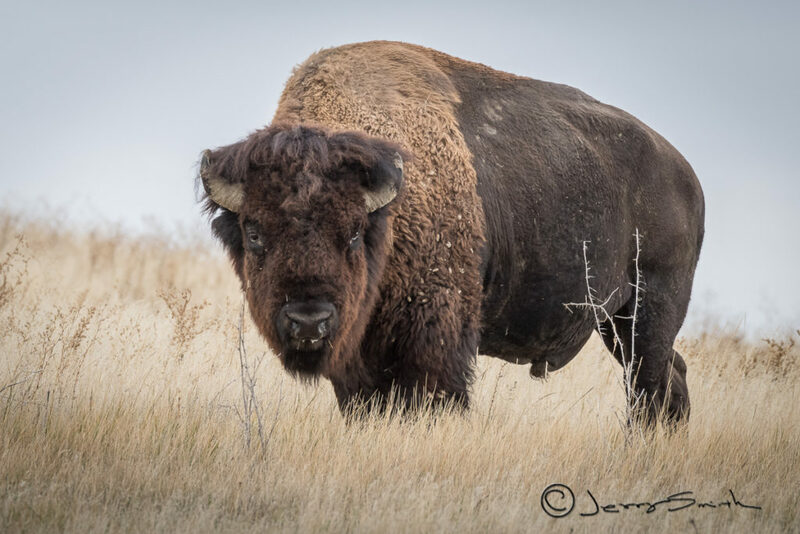 The Badlands host one of the choice herds of the American Bison. They’re definitely worth your visit, and a picture, if you’re in the park. I couldn’t help but think of a line when I was a kid . . . “My dad is stronger than your dad”! . . . or something to that effect! This guy was in full command of the scene and the herd nearby. Back to the “words” or “terms” for a moment. It’s worth remembering that the great God who created these majestic animals also communicated with us in “terms,” i.e., “words” in a context. These “words” unfold His great love for us, sending Jesus to provide for all our brokenness, rebellion, hurts, hates, and sin! God’s “words” tell us that “Jesus paid it all” and that through our faith in His gracious provision, we have a new life! Check out God’s “words” in 2Timothy 3.16, and His “word” just for you in John 3.16! 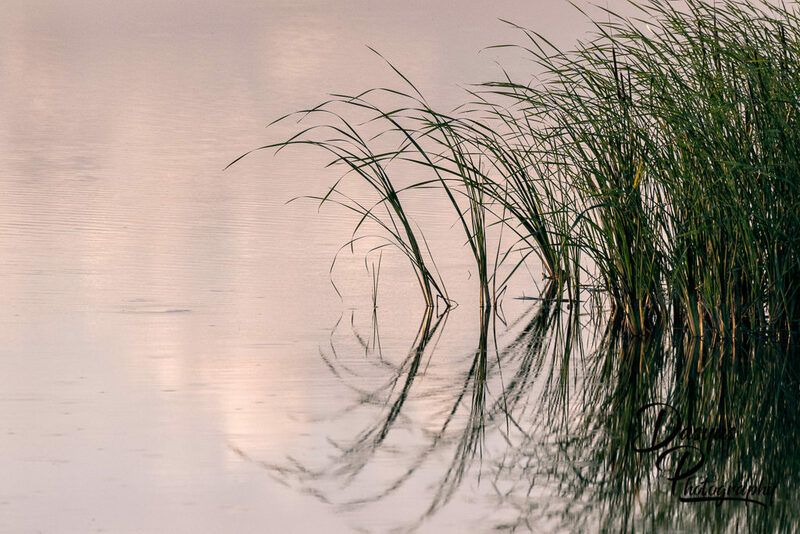 Photographers like to talk about what happens “behind the camera,” meaning photographic skills is preparing for a photograph. That’s well and good, and definitely an area of worthy focus. But, I’d point to another “Behind the Camera” event that’s equally important. Let me explain . . . 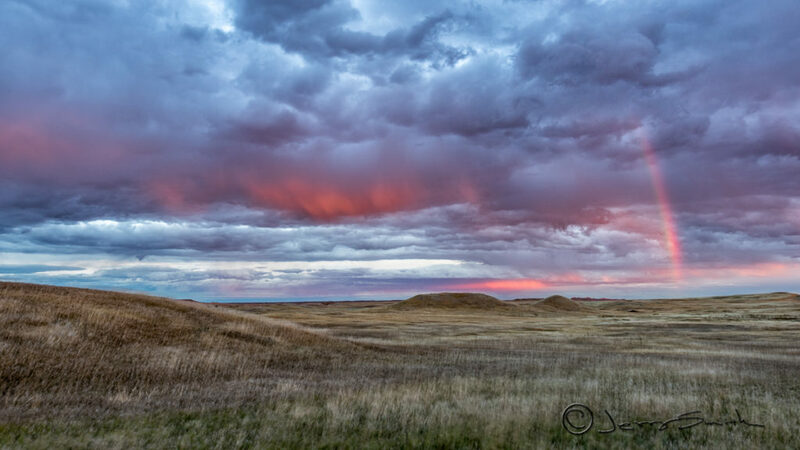 I was recently photographing a nice sunset in the Badlands National Park and had some things going for a good image. There were some showers and mild thunderstorms in the area. These always seem to offer drama in the sky, and, I was ready. I’ve worked to develop a discipline while photographing to turn around and look “Behind the Camera,” like the other direction! It’s easy when you’re focused on a subject to forget there are other things to consider. When I turned around, this is what greeted me . . . The next evening I thought I’d work for a sunset as there seemed to be some decent clouds forming in the west, even a small shower here and there. Focused clearly on this developing sunset, my “lesson learned” dawned on me as the few showers were beginning to find my location. Well, when I turned around this evening I was nearly overwhelmed! Admittedly, I was a little late in turning so by the time I moved my tripod and got reset, things were fading some. Here’s what was “Behind the Camera” on this occasion . . .
Not only is it a good lesson to refrain from being so focused on what’s before you that you forget other things in your life, it’s a good lesson for photographers too. Remember what’s “Behind the Camera”! We all get too wrapped up in the job, the game, the digital device in front of us, we can easily forget other very, possibly more important, things that seem behind what’s consuming us! Things like your husband or wife, your family, your friends easily float to the fore. And, the most important thing to keep refreshed in our thinking, our hearts, our lives, even when before us seems so great, is the Lord Jesus who loves us. He even has some words for us. If Jesus is new to you, read His Word and start with the Gospel of John . . . He has something just for you. Don’t let it get missed because you’re too focused upon what’s before! 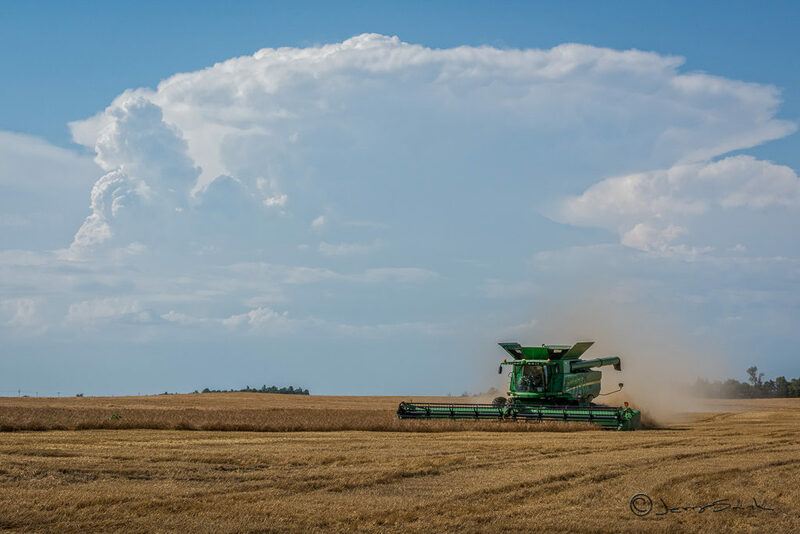 A recent trip to western Kansas just happened to coincide with the wheat harvest. What a treat! Through the kindness of a friend, and a farmer he knew, I got my first combine ride. To say the least, it was impressive! This was a serious piece of equipment! Thanks to all, it was a great time and some great memories, plus, I got my first lessons in making homemade cinnamon rolls, but that’s another story. Back to the harvest . . . Watching this harvest reminded me of some wisdom I learned a number of years ago. I’d like to pass them along to you for your pondering and probably some growing in some Laws of the Harvest. 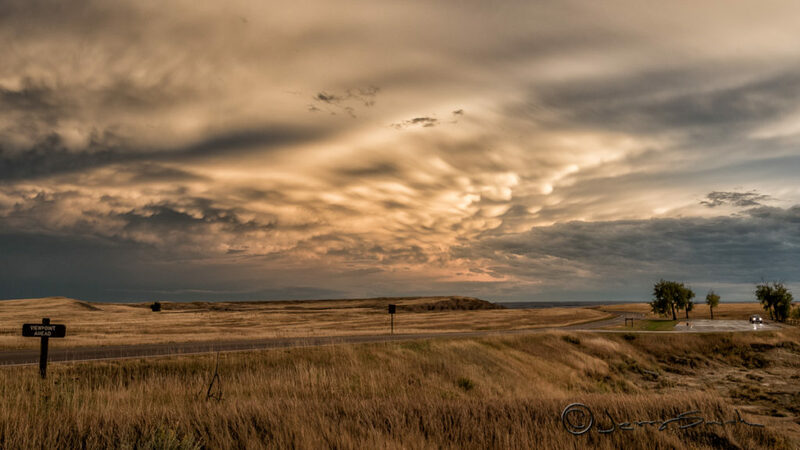 First, some images that caught my eye as harvesting was pressing to stay ahead of some coming thunderstorms. Here’s that wisdom worth your consideration, The Laws of the Harvest . . .
LAW #1. WE REAP ONLY WHAT HAS BEEN SOWN. All life comes from antecedent life; for as Louis Pasteur has adequately demonstrated, there is no such thing as spontaneous generation. What we reap, then, was planted either naturally or purposely, either by God or man, for either positive or negative results. We are benefactors of much for which we have extended no labor, but we enter into the labor of others. We are recipients also of the sowing of tares in the field; for what others do does affect us, and there is no way for us to elude it. LAW #2. WE REAP THE SAME IN KIND AS WE SOW. Whatever we sow, we reap; so that, if we sow the good, we will reap the good. If we sow the evil, we will reap the evil. LAW #3. WE REAP IN A DIFFERENT SEASON THAN WHEN WE SOW. We sow in one season; we reap in another. No harvest comes the moment the seed is planted, but it must await Godís appointed time. LAW #4. WE REAP MORE THAN WE SOW. No fact is more significant and sobering. When we sow the wind, we reap the whirlwind. When we sow good, we bountifully receive from the hand of God who is a debtor to no man; for the harvest is always greater than the seed planted. If this were not the case, no farmer would plant anything. LAW #5. WE REAP IN PROPORTION AS WE SOW. If we sow sparingly, we reap sparingly; but if we sow bountifully, we reap accordingly. The more ground we sow, the greater the harvest we will have. LAW #6. WE REAP THE FULL HARVEST OF THE GOOD ONLY IF WE PERSEVERE; THE EVIL COMES TO HARVEST ON ITS OWN. Weeds grow by themselves, but this is not true with the vegetables in the garden. These require much care. LAW #7. 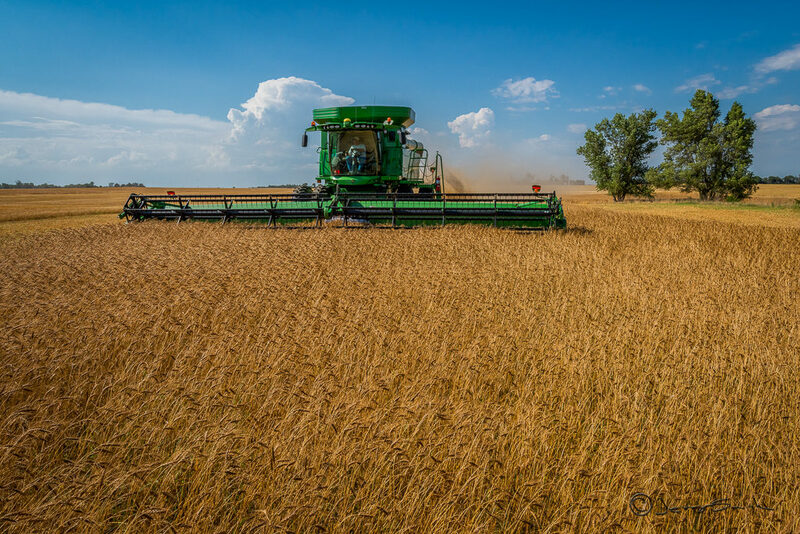 WE CANNOT DO ANYTHING ABOUT LAST YEAR’S HARVEST, BUT WE CAN ABOUT THIS YEAR’S. Last year is a fact of history that cannot be re-lived and about which we can do nothing. Our concern needs to be for what we are producing right now. (from Emil Brunner (Translated by Thomas Wieser) Sowing and Reaping, The Parables of Jesus (Richmond, VA: John Knox Press, 1964). Begin sowing today for the harvest ahead!